We're Australia's leading premium airline and we're dedicated to being the best. We aim to meet your expectations every time you fly and so we continue to invest in our business and will always strive to provide you with an exceptional level of service. With this Customer Service Plan, we want you to know what you can expect when you choose to fly with us from the United States. Below we set out our commitment to you and provide links to our website where more detailed information is available. We can't control all the elements which can impact a flight. Bad weather, technical problems, operational and other issues can sometimes cause flight delays or even cancellation or diversion of the flight plan. If this happens, while we're doing all we can to fix the problem we will keep you informed of developments as information becomes available and we will tell you the choices that are available to you. This will include providing timely updates in the boarding gate area as soon as it is staffed, at airport display boards where we can control them, on board the aircraft if you have boarded, via our telephone reservation service if you call and on our website at qantas.com. We will notify you in a timely manner of any schedule changes affecting your flights. We will use the contact details you provided in your booking, or if you booked through a travel agent we will notify the travel agent. Qantas understands the importance of getting you safely to your destination on time, every time, with your baggage. If we do misplace your baggage we will do everything reasonable to locate your bags and return them to you within twenty-four hours or as soon as possible. If your bags are delayed significantly, we will offer you assistance in the form of emergency expenses. We will apply the limits of liability provided for in the International Convention or other law that applies to the carriage of your baggage. In the unlikely event that your baggage is lost while in our care, we will refund any fee you have paid us to carry that baggage. Where a ticket refund is due in accordance with the applicable fare rules or Qantas Conditions of Carriage, we will provide you with this refund within 7 days for card payments and within 20 days for payments by cash or check. Refunds will be paid to the customer who paid for the ticket, unless they provide authorisation in writing to pay someone else. Unless agreed otherwise, the ticket refund will be paid in the same way and in the same currency in which the ticket was purchased. You may claim a ticket refund within 24 hours of purchase if you have paid for your ticket at least one week prior to the first scheduled departure on your ticket. To find out more about cancellation please refer to the fare rules provided to you at the time of purchase and our Conditions of Carriage. Qantas aims to provide a travel experience that is comfortable and hassle free, while ensuring the safety of passengers and our staff. Qantas will do all it can to provide information and assistance to passengers with specific needs in a non-discriminatory way, including in the event of a tarmac delay. We will comply with our obligations under the US Department of Transportation Rule on Non-Discrimination on the Basis of Disability in Air Travel. If you book via the internet please contact Qantas on 1 800 227 4500 in the USA or 13 13 13 in Australia immediately after you have purchased your ticket. If you book by telephone (1 800 227 4500 in the USA or 13 13 13 in Australia), you can provide the information to the Sales Consultant who makes your booking. If you book through a travel agent you can provide the information to the travel agent who can provide the information to us. Please ask your travel agent to confirm to you that your specific needs have been recorded by Qantas or you can confirm directly with Qantas on 1 800 227 4500 in the USA or 13 13 13 in Australia. If you do not provide advance notice of your specific needs we may not be able to meet your request. This should not prevent you from travelling on your scheduled flight, but may affect the level of service we are able to provide. We are committed to on time departures so that we can get you to your destination on time. If, despite our efforts, an aircraft is delayed on the tarmac, Qantas has processes in place to ensure we are addressing your essential needs. Find out more in our Qantas Tarmac Delay Contingency Plan. In these circumstances, we will not deny you a seat without first asking for volunteers who are willing to give up their confirmed seat in exchange for compensation for a specified amount, and travel on a later, specified flight. Volunteers will not be entitled to any further payment, refund or compensation. If there are not enough volunteers, we may need to deny boarding to one or more passengers involuntarily. If you are denied boarding involuntarily due to an overbooking of our flight for which you have a valid ticket and a confirmed reservation, we will provide compensation as required by law provided that you have met our check-in deadline and other travel requirements and we have not placed you on another flight that arrives within one hour of your original flight schedule. We will provide you with a written explanation of your rights and monetary compensation. 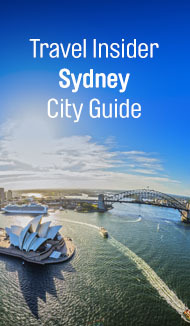 To help you prepare for your flight we provide you with information on our policies and services on our website qantas.com, and if you ask our telephone reservations or airport staff. When you book on our website at qantas.com you can click on the flight number to see which aircraft type is scheduled to operate the flight. Find out more about our aircraft including our standard seat configuration and location of lavatories. Find out more about the Qantas Frequent Flyer Program. Some countries require the cabin of inbound flights to be treated with insecticide. For additional information refer to http://ostpxweb.dot.gov/‌policy/‌safetyenergyenv/‌disinsection.htm. In the event that your journey does not go according to plan, we will do all that we can to assist. If your flight is cancelled or delayed we will keep you informed, and if you have a connecting flight on the same ticket we will assist with arrangements for your next flight. If we are unable to make arrangements that are suitable, you will be provided with a full refund for the affected flight or flights. We value your opinion as your feedback helps us to identify and address issues with our service. To provide your feedback or make a complaint about our scheduled services contact Customer Care or in writing at Qantas Airways Limited, 10 Bourke Road, Mascot NSW 2020, Australia. We will acknowledge your feedback within 30 days and provide you with a substantive response within 60 days. In the US, you can also contact Qantas on toll-free telephone number 1 855 477 9316. While we endeavour to resolve your complaint as quickly as we can, every case is different and some more complicated matters may take longer to resolve. You can also contact the Aviation Consumer Protection Division of the US Department of Transport by email at https://airconsumer.dot.gov/escomplaint/ConsumerForm.cfm, by telephone: 1 202 366 2220 (TTY/Assistive Device: 1 202 366 0511, or by writing to: Aviation Consumer Protection Division, C-75, U.S. Department of Transportation, 1200 New Jersey Avenue, SE, Washington, DC 20590. You can find more information at https://www.transportation.gov/airconsumer.